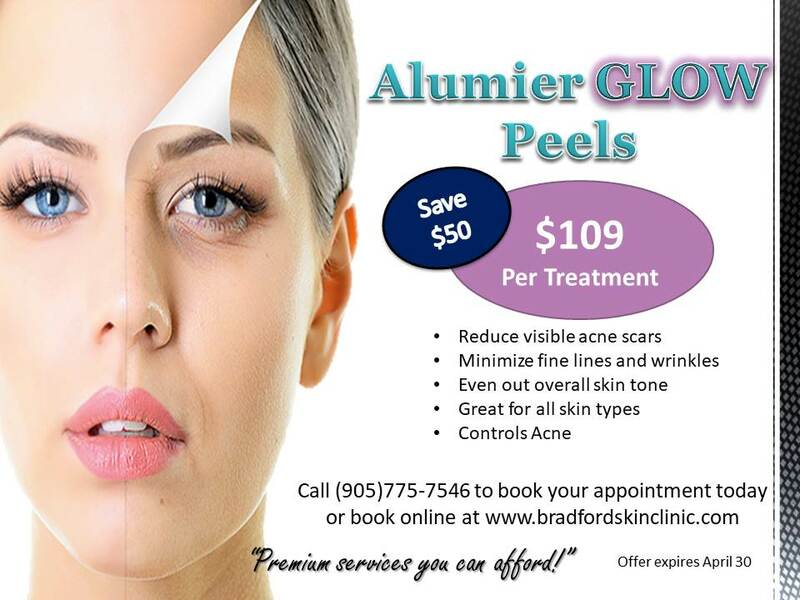 Bradford Skin Clinic is a leading Aurora Skin Clinic and medical spa, with a staff complement who is dedicated to providing you with the most effective cosmetic treatments and solutions to your specific beauty requirements. 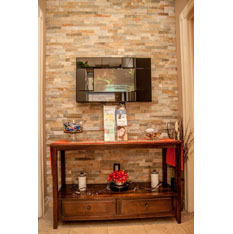 Clients from Aurora come to Bradford Skin Clinic to experience effective treatments at the hands of qualified therapists who use only the most advanced equipment and products. 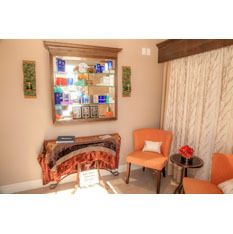 This high-end Aurora Skin Clinic and med spa is owner-operated by certified Medical Skin Therapist, Mia Liefso, who also holds diplomas and certifications in Laser Technology, Skin Therapy and Medical Aesthetics. Mia started out in the gynecology field, where she gained invaluable experience about how the skin reacts based on hormone levels and fluctuations. Armed with this deep understanding, Mia is able to design customized treatment plans for clients, based on their individual needs. 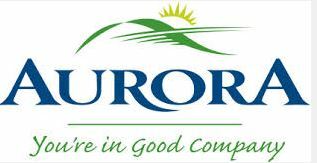 Each one of this Aurora Skin Clinic’s therapists is expertly trained and offers a high level of skill in their respective fields. It is the Bradford Skin Clinic philosophy to embrace new technology, which is why the team attends ongoing training in their areas of specialty. Whenever new products or equipment is made available, we attend manufacturers’ trainings in order to get the most out of it for you, our valued client. 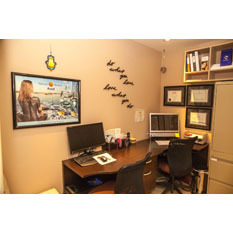 At Bradford, we don’t just treat you, but we also believe that it is our job to equip you. 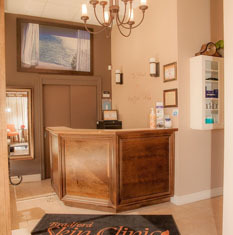 When you leave this local area Aurora skin clinic, you will have gained valuable insight into your unique skin condition and you will know exactly what you need to do to ensure that your skin stays healthy. When you visit Bradford Skin Clinic, you can rely on our selection of top-of-the-range skin care products and clients come from as far as Aurora, Newmarket and Barrie to purchase from our clinic-grade range. 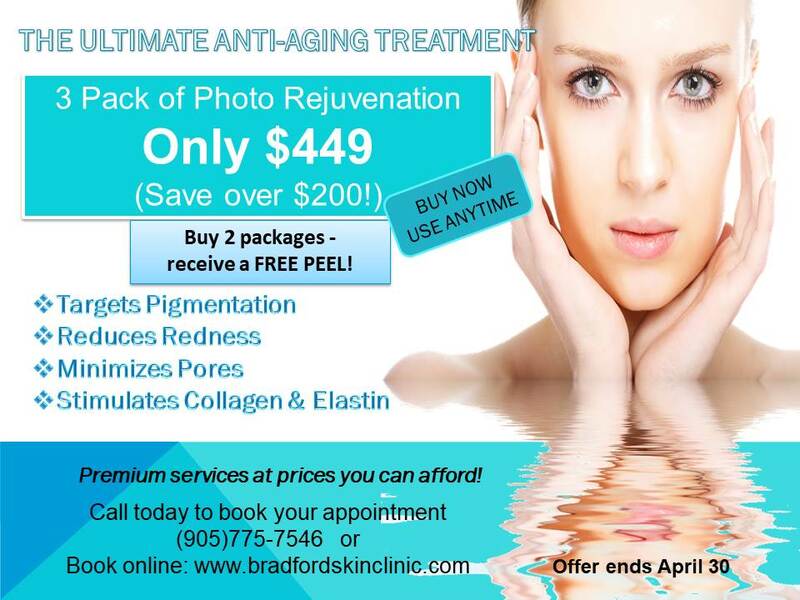 Whether you need a standard facial, or treatments for teen or adult acne, fine or deep lines, wrinkles, rosacea or photo rejuvenation, Bradford Skin Clinic and Med Spa has you covered. Our specialized skin care range treats your skincare concerns while at the same time fighting against the effects of aging. Want to get rid of unwanted, unsightly hair? 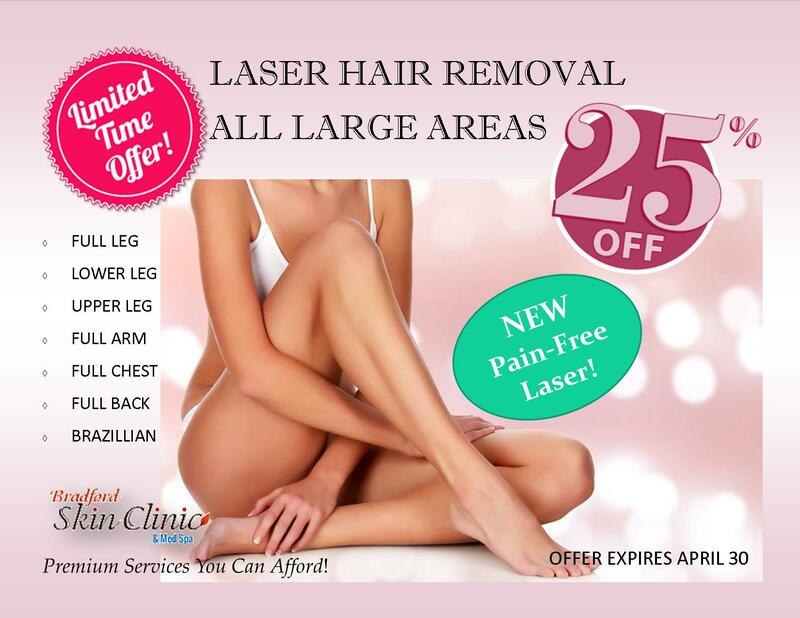 Look no further than Bradford for quick, pain free laser hair removal in the Aurora area. 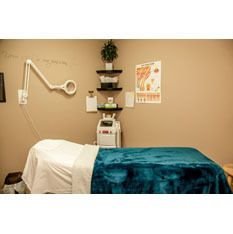 We also provide vasculyse treatment, radio frequency skin tightening and localized fat reduction for the face or body. Contact Bradford Skin Clinic, your number one Bradford and Aurora skin clinic today to book your facial, laser hair removal or other beauty treatment today.